With its rapid development, it is no surprise that major industries are setting up in the locality. It provides mass employment as well as geographic access to the rest of Mumbai. It is quickly becoming an IT hub with plenty of companies setting up in the region. In addition to this, it is in close proximity to many Maharashtra Industrial Development Corporations in areas like Taloja, Khopoli, and Bhiwandi. 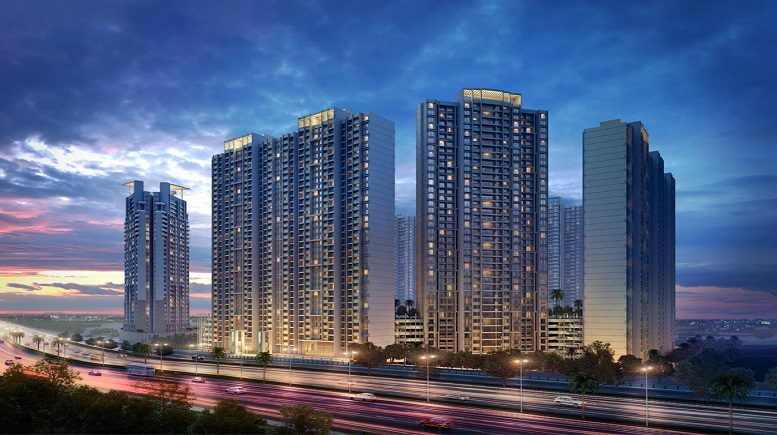 With the construction of the Navi Mumbai International Airport, Sion-Panvel Highway and Mumbai-Pune Expressway, Panvel is setting an example in the realty world for its connectivity. The Mumbai-Goa Highway is in close proximity to the city, and the Sewri–Panvel Highway is also being proposed, making Panvel a prime location to invest in. It is also strategically placed on the eastern side of the Mumbai–Bangalore Highway connecting it to the rest of the country. CIDCO has also a number of schools, hospitals, and commercial centres. When you stay at Indiabulls Park, you have access to all of this and more. Properties in Panvel are witnessing a steady and gradual hike in price, which will make for a profitable investment in the future. The average property prices have witnessed an 18% growth. It is also estimated to rise more in the next three years. The Builders Association of Navi Mumbai (BANM) has also ranked the area as the 3rd cleanest locality to live in. With Indiabulls Park, you can live the lifestyle you have always dreamed of – an investment that’s low on price, and high on value. Panvel is not only a place for business and infrastructural development, but also a popular location for your dream home. Located close to Karjat and Karnala, there are a number of weekend getaways for you and your family. Lonavla being just 40 kms away, you can drive and enjoy a weekend away from the city. The Panvel-Vashi-Alibaug Highway is also being considered as the golden triangle of possibilities. Investing in a home in the heart of Panvel would mean living amidst nature, yet being connected to the luxuries of an urban life. Making Panvel more lucrative is the investment opportunity at Indiabulls Park, which you should not miss! In addition to the opulent apartments located amidst greenery – a project with the largest open space in Panvel, you can be well connected with the city. And it comes with a low on price and high on value offer that you can’t deny! So, why compromise or wait for your dream home anymore? Be the first to comment on "Buying A Panvel Property – A Smart Investment Choice"